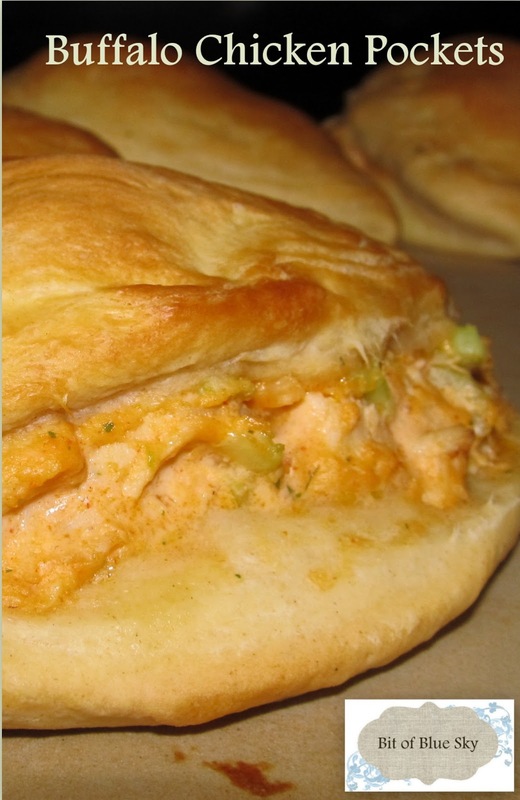 I have seriously been craving some buffalo chicken this week so I scoured my Pinterest board of recipes to find one to try out. 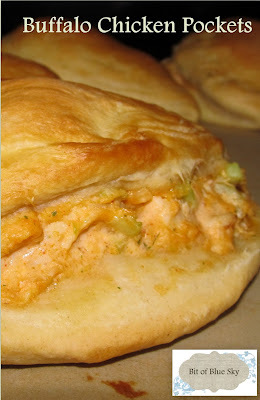 Since I had alot of crescent rolls laying around, I decided to make a Buffalo Chicken Ring. Yum. 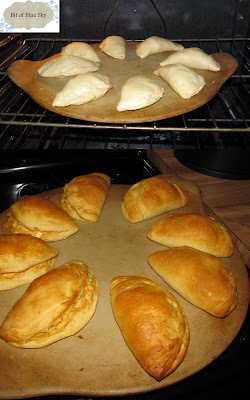 I *almost* ate all the filing before wrapping it in the crescent rolls. 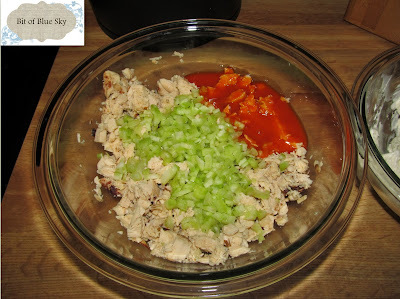 Of course Hubs brings the leftovers to work with him, and again I wanted buffalo chicken. Back to the Pinterest board. 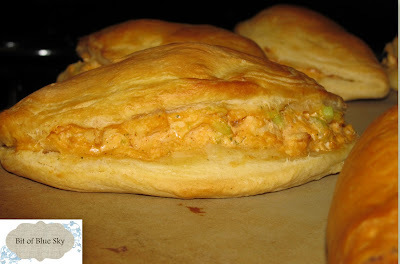 Since I liked the filling so much from the Buffalo Chicken Ring, I decided to make it again. 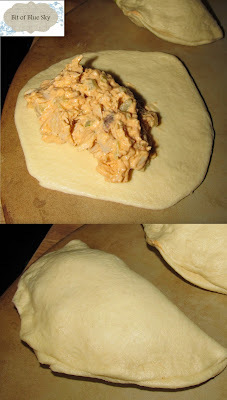 But this time I wrapped the filling into "pockets" made of rolled out biscuits! 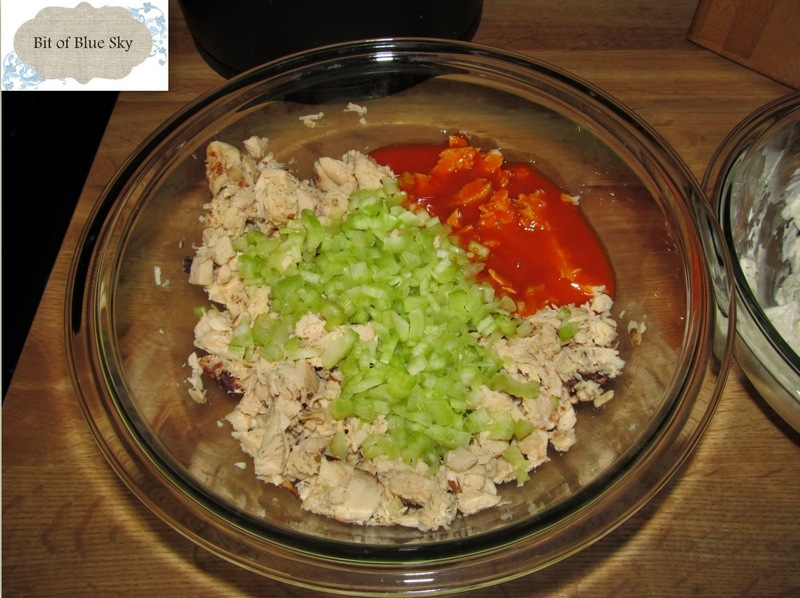 In bowl #1, mix together the hot sauce, cooked chicken, and diced celery. 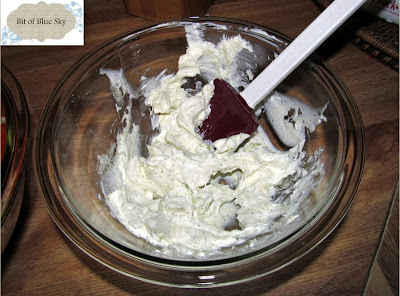 In bowl #2, combine the cream cheese (soften it in the microwave about 30secs) and 1/2 ranch seasoning packet. Combine both bowls together, mix well. Next, open up your can of Pillsbury Grands Biscuits. Take a biscuit out and roll it out flat, about 6 inches in diameter. 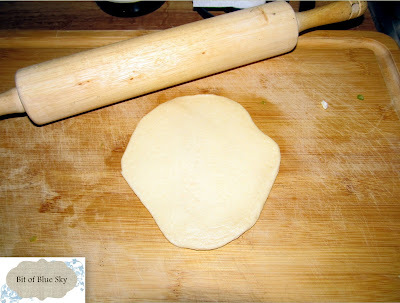 Place your flattened biscuit on your baking sheet (I use my PC stoneware!). Put a dollop of your buffalo chicken mixture onto one side of the biscuit. Make sure you leave room around the edges. Fold over one side of the biscuit over the buffalo chicken mixture, then pinch the edges together. Put them into the oven at 375 for 9-15 minutes, until they are golden yummy brown! Did I say YUMMY yet?